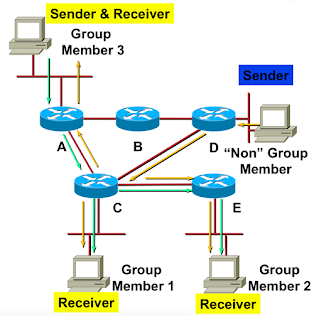 Multicast routing is a method for transferring data from one source to a group of receivers simultaneously. The main goal of the router is to route the packets. While in broadcast routing packet is sent to all nodes even if they do not want it but in multicast routing the data sent to only nodes which want to receive the packets. 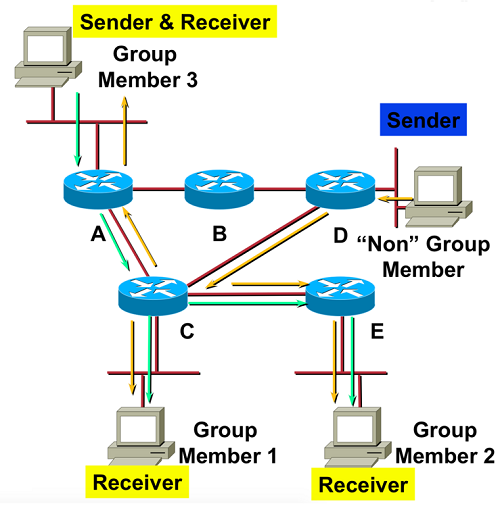 The router must know that there are nodes which wish to receive multicast packets then only it should forward. 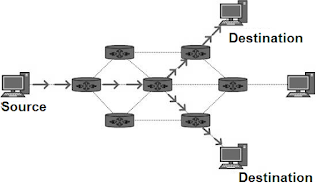 Multicast routing works spanning tree protocol to avoid looping. Multicast routing also uses reverse path forwarding techniques to detect and discard duplicates and loop. It can also help us to minimize the computational resources needed to make copies of the data and the total volume of bandwidth that otherwise would have been used to carry multiple copies of the same content. To show in the figure, multicast routing will work on spanning type tree protocol to avoid looping. The router and the interfaces traversed by multicast date to reach its receiver form a tree. The source that transmits the data known as the root and the receivers are the leaves on the multicast tree.